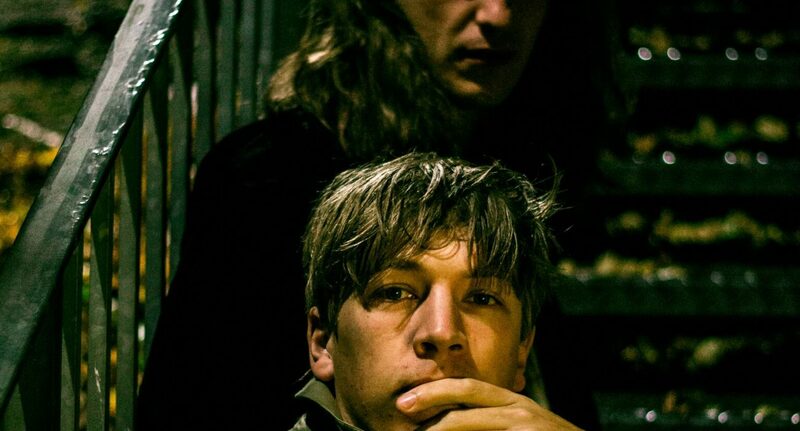 The album is not just thematically unique for Drenge, but has also introduced into the band’s sound a plethora of synths – alongside a deep layering of delays and reverbs to further construct the world of horror and mystery. With this considered, I was interested to find out how the band was attempting to recreate this soundscape on stages up and down the country without the aid of the studio. This is clearly something that is testing the band, as Rory was eager to note that this tour had been one of the most difficult to date, with him and guitarist Rob Graham having to play two instruments at once in some songs. The band also recently completed a run of philharmonic shows in records stores across the country to launch the new album, which Rory referred to being “really odd and weird”. It seems that Drenge have been catalysed by the modern consensus to generally overlook British guitar music and have pushed themselves into reinvention and experimentation. “I think some of my favourite artists are people who can really push themselves and do weird things, it might not always work but they’re able to breach into these different worlds and keep creatively progressing throughout their career”, says Rory. Clearly, the band have translated this inspiration into their own work. With all this considered, I was excited to get down to the Ritz early and ready to fully immerse myself in the world of horror and mystery that the band are attempting to transfer from the album onto the stage. Framed perfectly by the red velvet curtains of the venue’s stage and casting tall black shadows on the orange-lit backdrop, the band launched into the title track of the new album. With dark sludgy bass and relentless drumming topped by rising guitars, Eoin Loveless’ voice sat hauntingly on top of the soundscape and left the audience locked in an unsettling trance. Every world he summoned echoed Bowie or Morrison. The tension in the room was almost disturbing as the song reached its cacophonous climax. Unfortunately for Drenge however, this immersion lasted no more than the first five minutes as they proceeded to launch into the jerky and erratic ‘Autonomy’. Despite the musical quality of the song, it was as if I’d left my Spotify on shuffle – and been taken from Bowie to The Buzzcocks. Although the two songs both appear on the new release, the latter was recycled from a past EP and has a far more adolescent feel than the brooding maturity of ‘Strange Creatures’. This was highlighted to a greater extent in a live environment by this shattering change of pace. As the gig continued and the band progressed through their set, it became clear that this was going to cause issues all night. Despite every song being received well by the crowd, they were often in states of confusion and disarray attempting to switch from frantic moshing to motionless trances. The two states were symbolic of the conflicting musical directions the band is trying to take all at once. Although the set remained largely frantic for the benefit of older fans (one of which remarked to me on a slower song “I didn’t realise I was in a library”) the fragments of darker, more mature tracks were glimpses into the psyche of a band eager to evolve. This became very jarring through the night and quite frustrating with neither side of the musical spectrum being fully explored.